I am using it to implement Ming Thein's workflow, who often uses selective dodging of highlights / burning shadows to increase local contrast. This works very well in Photoshop CS5: when applying dodge/burn brushes to highlights or shadows, they nearly do not affect midtones - ok. However in AP, when either highlights or shadows are selected also the midtones are affected heavily. This can only be worked around by reducing brush opacity to 10%, but then the intended effect is mostly gone. So IMHO a steeper separation between highlights, midtones and shadows would be needed. Secondly, it is annoying that the brushes change to their defaults for every newly opened image. I am pretty sure most users would prefer to keep the last used settings. Anyway, congratulations to this otherwise great application! I have to bring this up again, because I am not able to reach the dodge / burn results that I want with AP and comparing to PS behaviour. I did a test of dodge and burn brushes on a gradient fill converted to a pixel layer, see attached image. I used brush size 250 for dodging and burning with the 3 options highlights / midtones / shadows each, all other settings left at their default values. One horizontal stripe (going back and forth twice, mouse kept clicked) per setting. Also, I cannot avoid some posterization on the gradient (even tried 16 Bit RGB and 16 Bit LAB), which is strongly increased by dodging and burning. 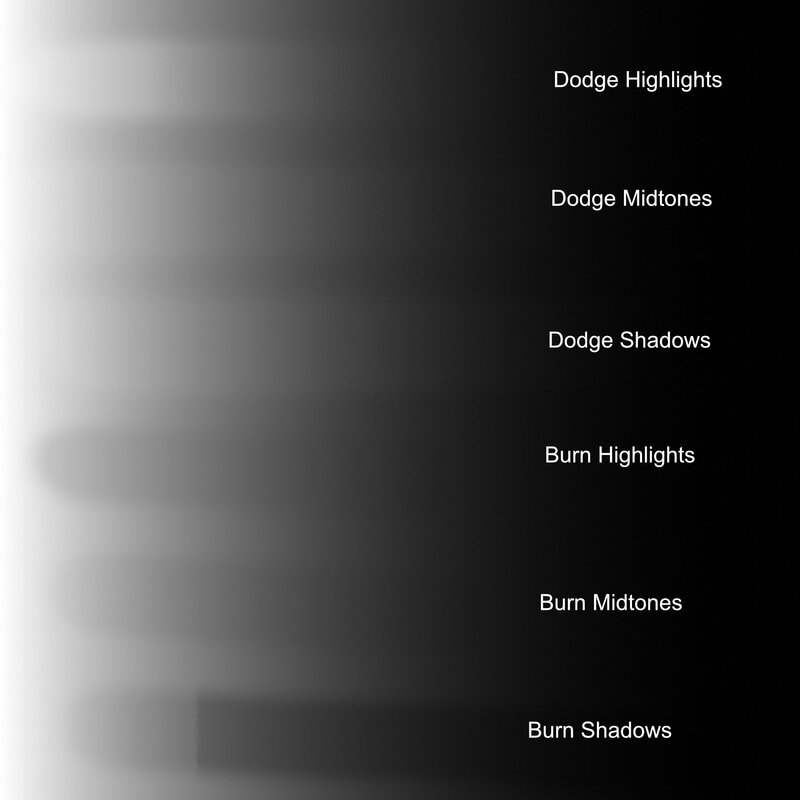 Finally, there is a significant difference in the strength of dodge/burn effect, whether I am brushing back and forth keeping the mouse clicked, or whether I overlay several separate strokes. Maybe this is intended behaviour, but does not seem logical to me. I'm disappointed that this is considered a feature request rather than a bug report, and that such a basic functionality does not work correctly in AP. And no reaction from AP staff. I will go back to PS, where dodge/burn works like it should. Have you tried it again with V1.4.1? Ok, maybe the dev's will find time to look into it. I personally think that it might be good to correct this but on the other hand I think it does not affect real world use too much.